We test drive the fastest, most powerful road car Audi has ever built, the 601bhp and 205mph new Audi R8 V10 Plus, on road and track and deliver our first verdict. The RS 3 has the most powerful five-cylinder engine in Audi's history and Quattro four-wheel drive, but does that make it the ultimate hot hatch? We put Audi's first ever e-tron model through its paces in a long term test, to see if it sets out the blueprint for the electrified R8, Q7 and A4. Can it offer us the best of both worlds? Read the Audi A7 Sportback (2014 - ) car review by Auto Trader's motoring experts, covering price, specification, running costs, practicality, safety and how it drives. 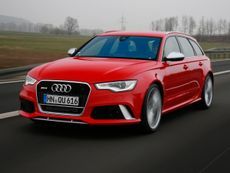 Read the Audi A6 Avant (2014 - ) car review by Auto Trader's motoring experts, covering price, specification, running costs, practicality, safety and how it drives. Read the Audi A6 saloon (2014 - ) car review by Auto Trader's motoring experts, covering price, specification, running costs, practicality, safety and how it drives. The Audi Q3 is a compact SUV that majors on style and has a smart interior, but it's more for on-road driving as an alternative to a family hatch back than a proper 4x4. Read the Audi TT Roadster (2015 - ) car review by Auto Trader's motoring experts, covering price, specification, running costs, practicality, safety and how it drives. 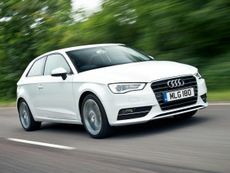 At first glance the Audi A3 doesn’t appear to have changed much for 2012, but place the old and new models side-by-side and the differences stand out. Everything about the newcomer is taut and precise, from the crease along each side, to the ornate headlamps.